Goshen Township officials will be observing the township’s bicentennial at Goshen Memorial Park during Mechanicsburg’s Summer Celebration on July 11. 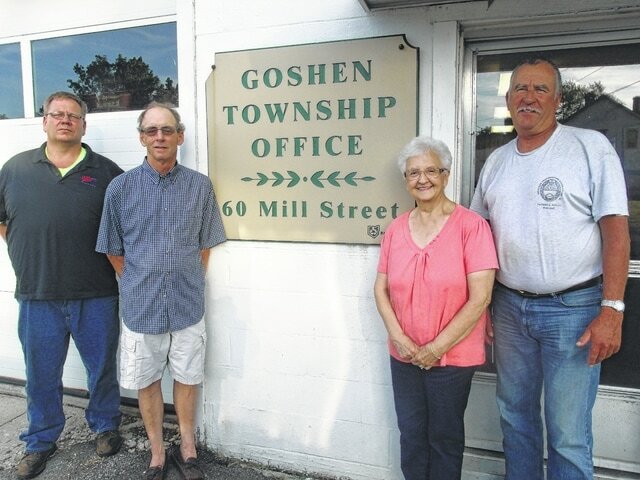 Goshen Township is observing it’s Bicentennial, having been established in 1815. A 200th birthday cake and ice cream will be given out free during a ceremony at the Number One Shelter House at Goshen Memorial Park during Summer Celebration at 6 p.m. July 11. All former township trustees, clerks and employees are invited to attend. The event is open to the public. Current Township officials are Trustees Tim Cassady, Steve Cooper and Keith Rutan and Clerk Leota Rader.